Also serving communities of Canyon Lake. There are 30 Assisted Living Facilities in the Sun City area, with 8 in Sun City and 22 nearby. The average cost of assisted living in Sun City is $3,121 per month. This is lower than the national median of $3,346. Cheaper nearby regions include Menifee with an average starting cost of $2,775. To help you with your search, browse the 94 reviews below for assisted living facilities in Sun City. On average, consumers rate assisted living in Sun City 4.3 out of 5 stars. Better rated regions include Wildomar with an average rating of 4.5 out of 5 stars. Caring.com has helped thousands of families find high-quality senior care. To speak with one of our Family Advisors about assisted living options and costs in Sun City, call (855) 863-8283. Sun City, California, is a master planned community for seniors 55 and older. It was incorporated into the City of Menifee in 2008 and remains a distinct community. Nestled among rolling hills, Sun City is focused on providing an enriched retirement experience for active seniors. The city of Menifee has a population of 90,000, with over 18 percent seniors aged 65 and older. There are 34 assisted living facilities in Sun City and a further 11 in the city of Menifee, so seniors living here have plenty of options for seniors to transition into assisted living without leaving a familiar community. 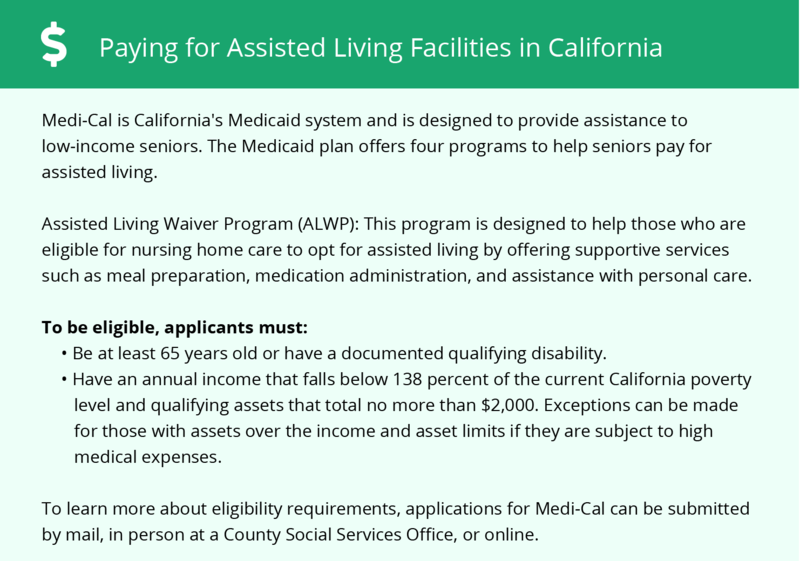 The Department of Social Services regulates assisted living facilities in the state of California, and the Senior Care Licensing Program licenses and monitors continuing care retirement communities. The weather in Sun City and Menifee is characterized by hot summers and mild winters. July high temperatures average around 97 degrees, January lows are 39. Those who have health conditions alleviated by warm weather may find relief here, although seniors sensitive to heat may be uncomfortable. On a scale of 1 to 100, with 1 being the safest, both property crimes and violent crimes in Menifee are within one point of the U.S. average. However, seniors are advised to use caution with their persons and belongings. Cost of living for Menifee is 143.6, compared to a U.S. base of 100. Grocery costs are about 10 percent lower, while health care costs are about on par with the national average. Housing costs are nearly double the national average, which may affect seniors with a small budget for assisted living expenses. Senior citizens aged 60 and over, as well as those with a qualifying disability, are eligible for reduced rates from the Riverside Transportation Authority. This bus line serves the cities of Menifee and Riverside, as well as the surrounding communities, including Sun City. Sun City is a planned community designed to encourage active seniors to make new friends and enjoy their retirement. The city of Menifee also has an array of community resources for seniors, including the Kay Ceniceros Senior Center, an organization that provides exercise classes, education and enrichment opportunities, and monthly clubs and group activities for seniors. The Northridge area is home to world-class medical facilities, including Menifee Valley Medical Center and Rancho Springs Medical Center, in the event of medical emergencies or illness. Assisted Living costs in Sun City start around $3,121 per month on average, while the nationwide average cost of assisted living is $4,000 per month, according to the latest figures from Genworth’s Cost of Care Survey. 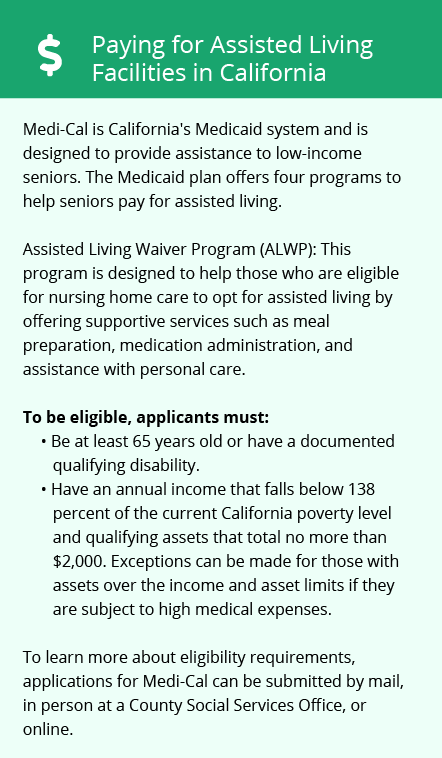 Senior citizens in California, as well as those with a qualifying disability, may be eligible for the Assisted Living Waiver (ALW), which is a Home and Community-Based Services (HCBS) waiver that was created by legislation that directed the California Department of Health Care Services (DHCS). To see a list of free assisted living resources in Sun City, please visit our Assisted Living in California page. Sun City-area assisted living communities must adhere to the comprehensive set of state laws and regulations that all assisted living communities in California are required to follow. Visit our Assisted Living in California page for more information about these laws.